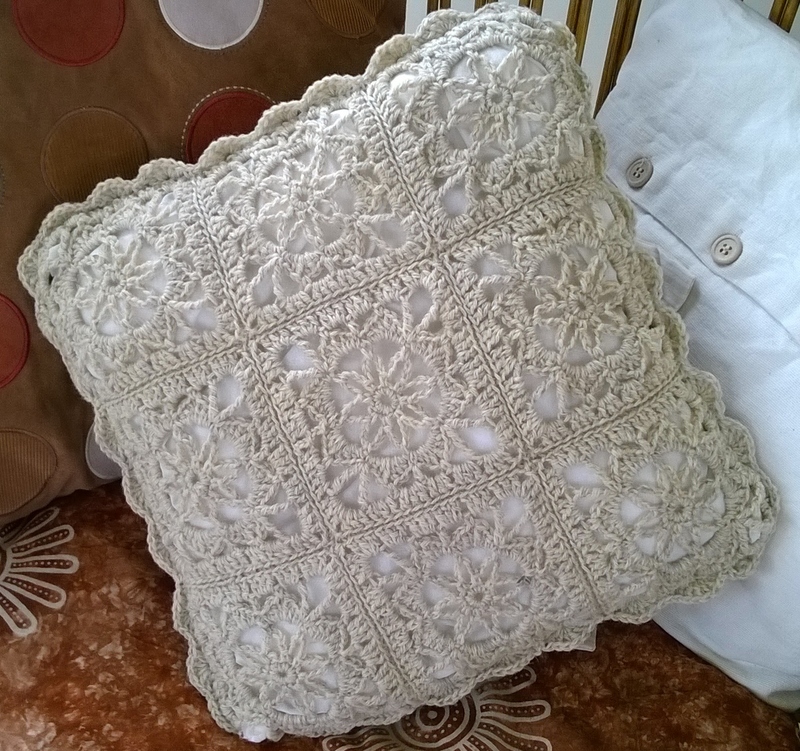 I wanted to use both colours of yarn in the cushion but the cream was dk and the brown was 4ply, not easy to use in the same project. So I improvised – as you can see the front is in cream DK and I joined 9 of the Meadow Farm motifs together, all made using a 4mm hook. 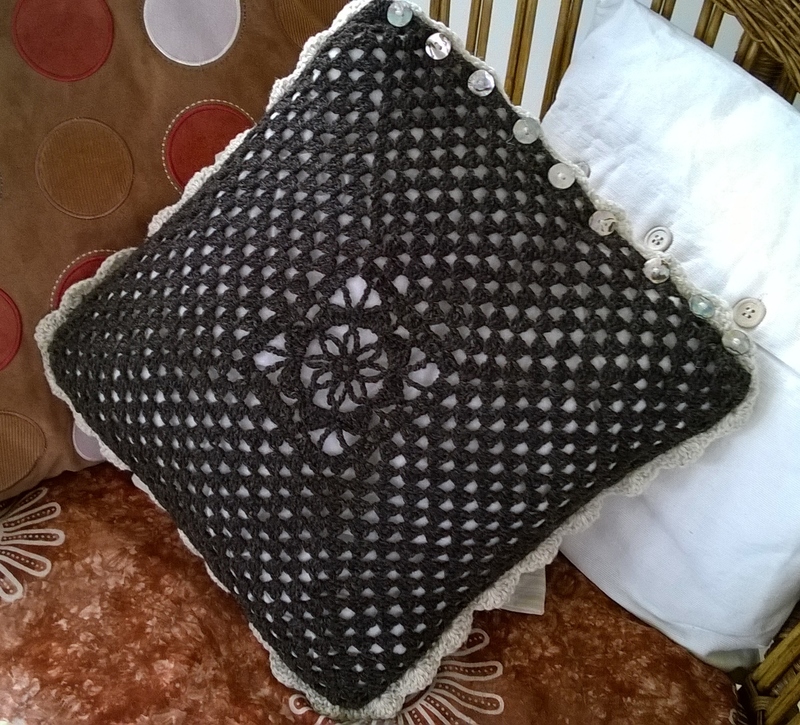 For the back I used a 3mm hook and the brown yarn – I started with a Meadow Farm motif and then continued it as one large granny square. Then I joined back to front and added a shell edging in cream, finally a row of shell buttons (bought at a The Harold Porter Botanical Gardens enroute to Hermanus in South Africa almost 5 years ago). There is still time to rent a sheep from the Meadow Farm Wool Project, and support 2 charities. What will you make with yours?